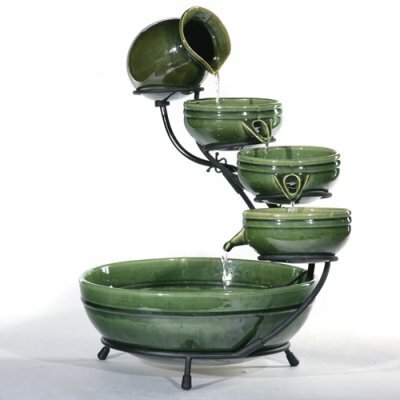 Aquamasters, Inc. - Decorative Fountains for your Home and Garden - Click Here. Our Line of Decorative Indoor and Outdoor Fountains are a wonderful addition to any home, with single family home or apartment complex, Enjoy the sounds of our fountains. 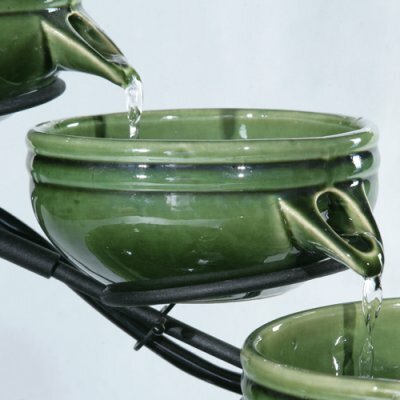 There's something about the sound of trickling water that is very soothing and create a relaxing atmosphere. Whether you're reading or just hanging out by your patio or porch, you will enjoy our fountains. Our Solar Fountains are primarily used outdoors. Available, but not included, is an AC adaptor (for indoor use). 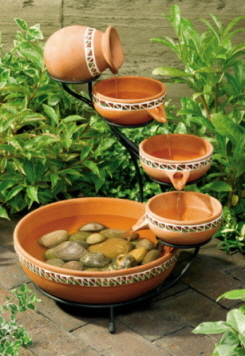 The Solar Cascading Fountains are absolutely beautiful and will awe you with the simplistic nature of running water. They are highly recommended. 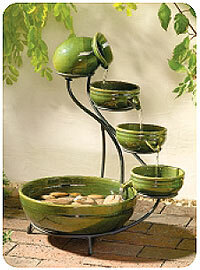 Be sure to check out the Frog Fountain, which is an ideal, stand-alone fountain and birdbath for the flower garden.